The lovely home we visit in this edition of homify 360, recently underwent an upgrade, making it a modern, elegant and aesthetically appealing living space for a growing family. The architects ensured that the house is comfortable, filled with natural light making it the perfect space to retire. Let's begin our tour to inspire you! The home has a simple, neutral colour exterior with contrasting materials such as concrete, exposed brick and even painted brick decorating the exterior. 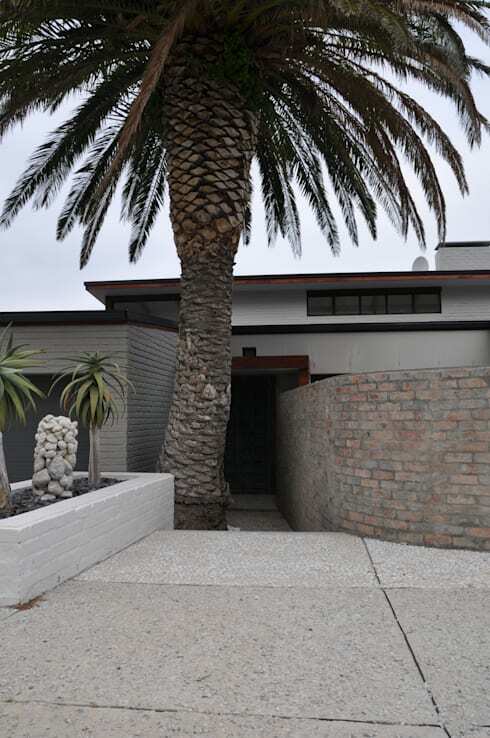 A large palm tree adds shade, while incorporating that seaside tropical island element to the facade. The wooden pergola above the entrance ensures that your guests will be sheltered from the elements, come rain or sunshine as they wait for you to open the door. 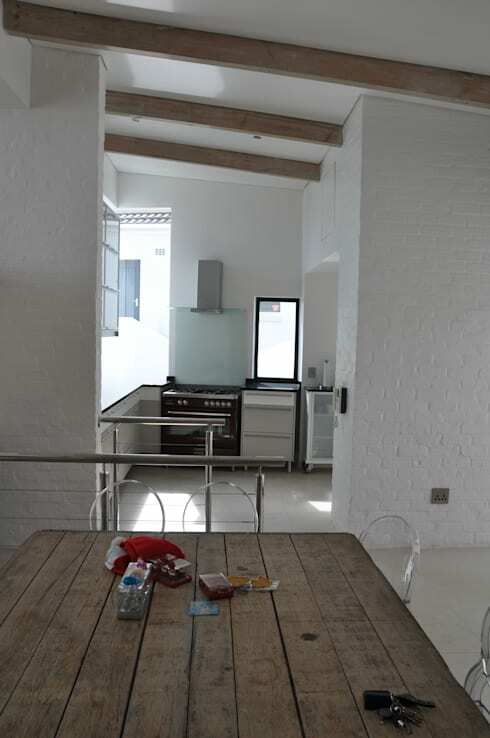 The double storey house has an abundance of sunshine and fresh air. 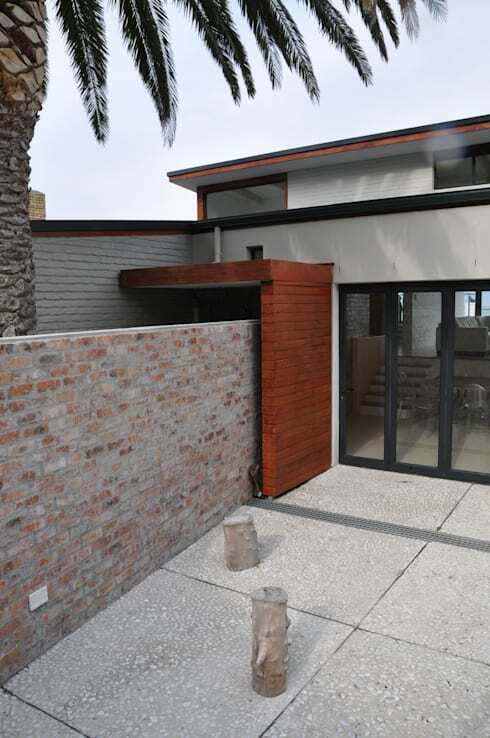 The neutral colour walls allows the sensational ocean view will be the major attraction in the garden. A bathroom that takes into account rusticity and modernity, now that's elegant! 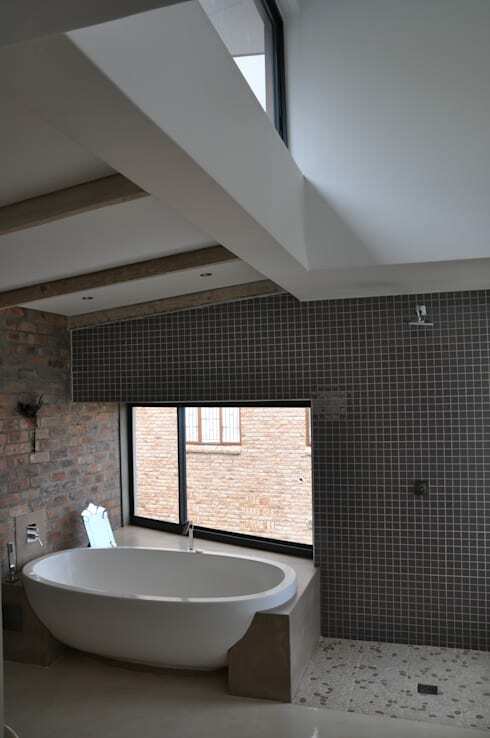 The bath tub against the windows ensures that a soak in the tub will be relaxing, while the stone wall, exposed wooden beams and mosaic wall tiles enhances the layout and environment. The modern kitchen, decorated in a monochrome colour scheme keeps the space sleek, simple and tasteful. 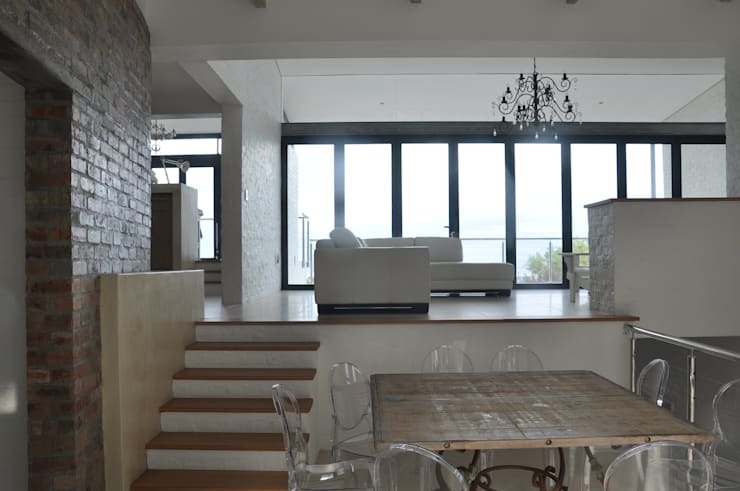 The sunken kitchen has a penthouse-like layout with the living area enjoying the sights of the seaside from the balcony. The home is no doubt modern, minimalist in design with rustic elements adding personality and character to the decor. Have a look at these Three South African container homes for inspiration. 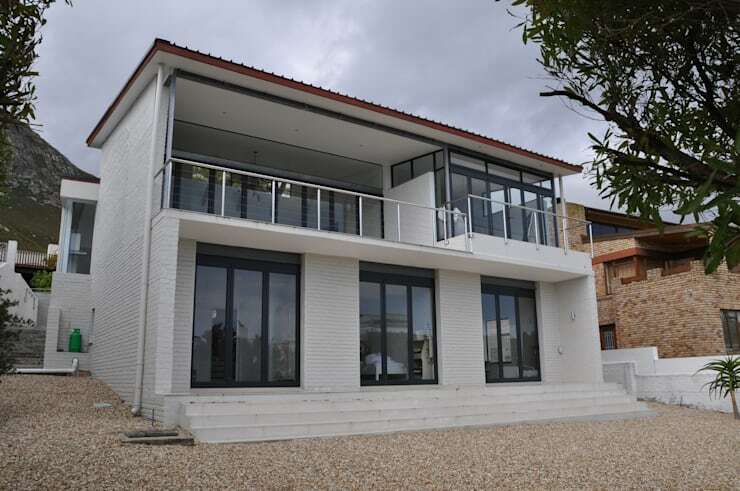 Would you like to live at the seaside in a home like this?